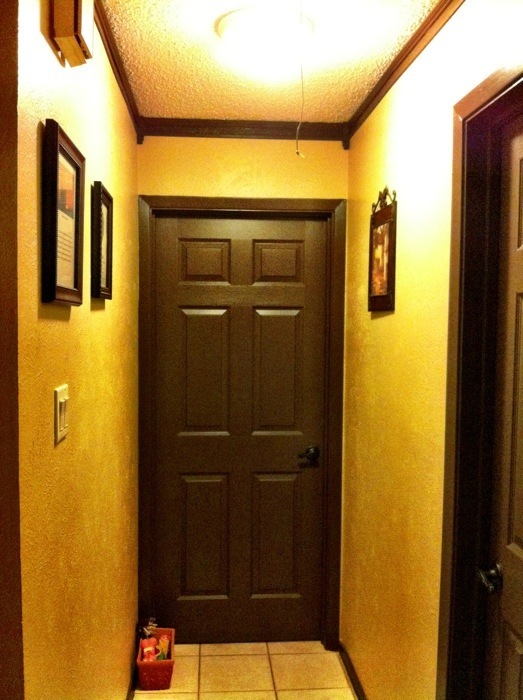 You are here: Home / Just Life / Home makeover/remodel / Hallway remodel Done! 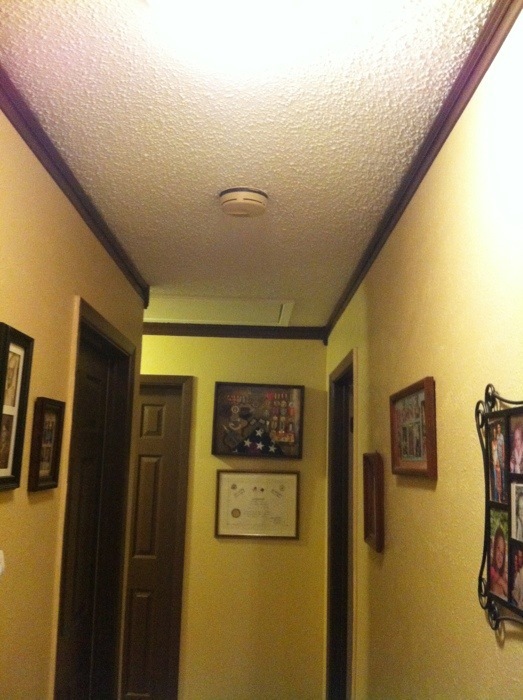 Here are the finished pictures of the hallway. 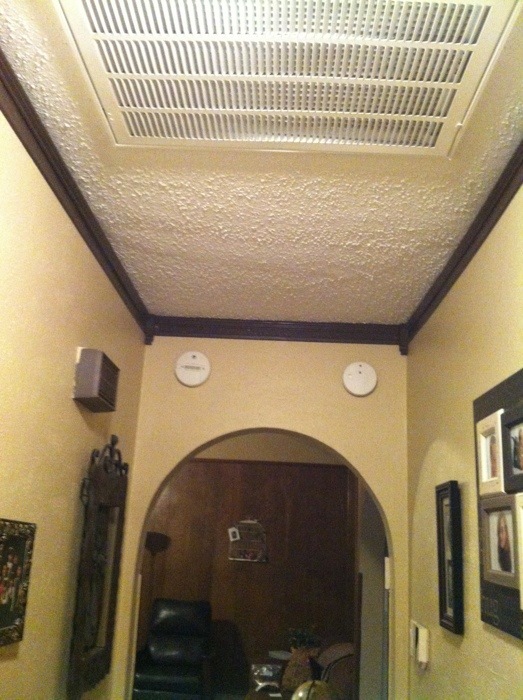 It went quicker then the foyer up-do, because all we were doing was the faux crown molding. All the doors had already been replaced. Once again sorry about the pictures. Our walls aren't really yellow. The top and bottom pictures are the true colors. 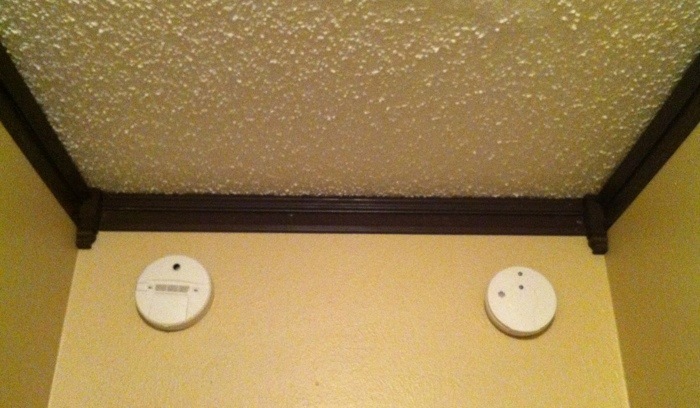 Do you like the before without crown molding or after with the crown molding? Check back later to see what re-do is next on the list.